A new Tel Aviv University study describes a process to make bioplastic polymers that don't require land or fresh water—resources that are scarce in much of the world. The polymer is derived from microorganisms that feed on seaweed. It is biodegradable, produces zero toxic waste and recycles into organic waste. The invention was the fruit of a multidisciplinary collaboration between Dr. Alexander Golberg of TAU's Porter School of Environmental and Earth Sciences and Prof. Michael Gozin of TAU's School of Chemistry. Their research was recently published in the journal Bioresource Technology. "Plastics take hundreds of years to decay. So bottles, packaging and bags create plastic 'continents' in the oceans, endanger animals and pollute the environment," says Dr. Golberg. "Plastic is also produced from petroleum products, which has an industrial process that releases chemical contaminants as a byproduct. "A partial solution to the plastic epidemic is bioplastics, which don't use petroleum and degrade quickly. But bioplastics also have an environmental price: To grow the plants or the bacteria to make the plastic requires fertile soil and fresh water, which many countries, including Israel, don't have. "Our new process produces 'plastic' from marine microorganisms that completely recycle into organic waste." Why not harvest the 617,000 sq. miles of "free" plastic floating in the Pacific? Bioplastics - even from sea weed still require lots of fossil energy to harvest, process, and refine. Neato, so now we can get stuff that costs a lot of money and it disappears after a few years. Does anyone see the economic implications of this? It's built-in inflation. I think that square-mile figure is the reason why not, probably prohibitively costly in time and fuel. If it's done via sail or solar power it would at least solve the energy cost of harvesting across hundreds of thousands of square miles. Why not harvest the 617,000 sq. miles of "free" plastic floating in the Pacific? Because that's all kinds of plastics mixed together (PET, PVC, PS, PP, ... ). Notice how recycled plastic products are products where a variation in composition doesn't matter. Since plastic products are mostly short-term use anyhow (plastic bottles, packaging and the like) - where's the problem? I could see a lot of products that could be made from this stuff. Certainly not everything, but every bit that doesn't end up in a permanent landfill or in the ocean and as part of our food chain helps. They've been talking about bio-bags for 20 years. Nothing. No one is going to pay $1.00 bag for a shopping bag. 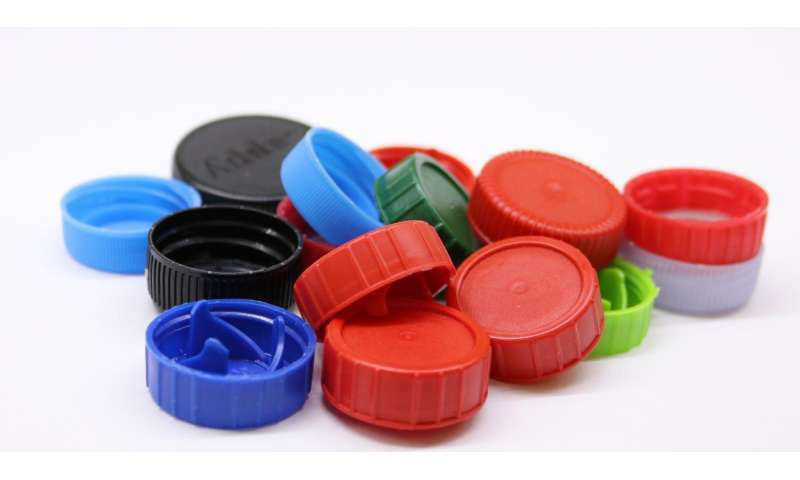 Bio-plastics could carry contamination. re-usable shopping bags have already shown to be easily contaminated with bacteria from foodstuffs. They've been talking about bio-bags for 20 years. Nothing. No one is going to pay $1.00 bag for a shopping bag. Considering that people are already paying per bag in many places and that bans on plastic bags and the like will go into effect in a few years, I'm sure that people will be happy to have alternatives. It's just Thorium Boy earning his paycheck as an oil shill. Y'know, paper bags are inherently biodegradable. Actually I think we had an article on here in the last month and it's not commercially viable to harvest the plastics. Yes, reluctantly about $0.05 per bag. Shills get paid, I'm not workiing for them. I just hate left-wing social engieering. Also, yes, lets go back to paper, because it's the only real choice. Cut down trees, force people to try to carry heavy items in bags that rip and get sodden and weak from slight rain. Do you leftists ever think things through? -then I have some really great news for you! That particular kind of left-wing social engieering you speak of doesn't exist, has never existed, and will never exist. And left-wing social engieering of any kind generally doesn't come with a concern for the environment! There is no world wide communist conspiracy by nearly all scientists to make us all poor! (and for absolutely no reason whatsoever) And there has never been or will be! In fact, and here I let you in on a global secret, most scientists aren't even communist! If there is, then it would mean the smartest people on the planet have made the most ineffective conspiracy, ever - because I have yet to see a single scientist being filthy rich. Seriously: what are these "conspiracy scientists" supposed to get out of it? The idea of a worldwide scientist conspiracy is the single dumbest delusion anyone has ever dreamed up. Flat earthers are friggin' geniuses by comparison.